Finally, its live, with Microsoft officially launching the Windows 8 is like a dream come true. While Microsoft has also stated that the next generation Operating System is going to be named as “Windows 8” and will be going to feature 4 different editions which includes Windows 8, Windows 8 PRO, Windows RT (Windows on ARM or WOA), and Windows 8 Enterprise. One of the most surprising thing which Microsoft did this time is that they have also included a language-only edition for China and emerging markets which will surely boost the market. However, Microsoft Windows 8 will feature both 32bit as well as 64bit among both PCs and tablets which will in turn consist of Windows 8 and Windows 8 Pro. 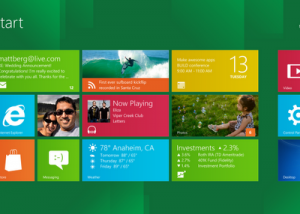 As suggested by Microsoft, Windows 8 Pro will be going to feature some of the enthusiasts and business users and will also consist of some more additional features such as Encryption, virtualization, PC management and domain connectivity. You will also be able to watch out Windows Media Center in the upcoming Windows 8 which Microsoft has made available with the help of an addon pack. While Windows RT is going to have some new and refreshing models for Microsoft Word, Excel, PowerPoint, and OneNote as expected by Microsoft in their official blog. With just this news, Windows 8 Enterprise is going to be the ultimate which is going to feature a bundle of new addon feature, for which some of them are PC management along with deployment, advanced security, virtualization, and new mobility scenarios. 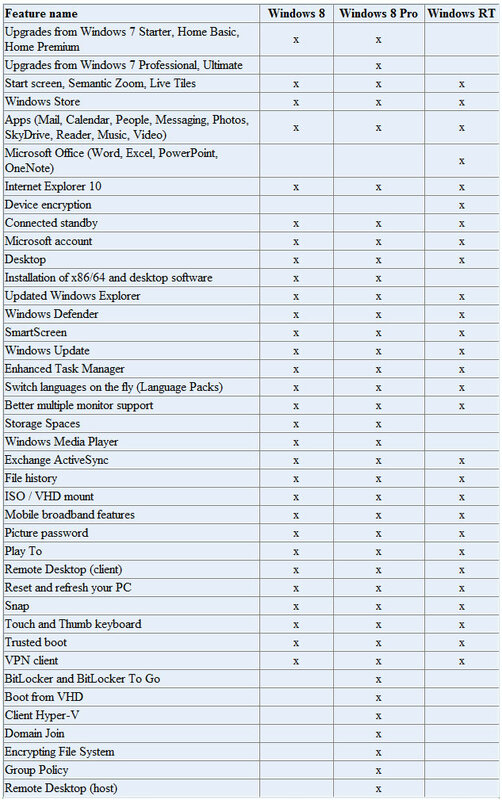 Below chart will give you all detailed explanation about all the edition which Microsoft will be making Live.